A picture speaks a thousand words... And we like EVERY. SINGLE. ONE of ZAYN's. 4. A picture speaks a thousand words... And we like EVERY. SINGLE. ONE of ZAYN's. 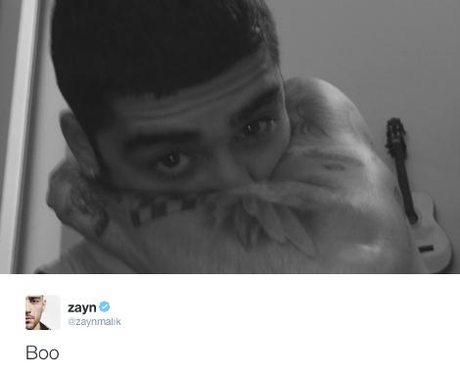 We don't know why you're saying "Boo", ZAYN. You're not scaring anyone when you look like that!